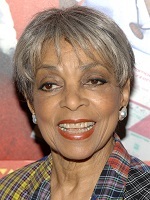 Ruby Dee, an acclaimed actor and civil rights activist whose versatile career spanned stage, radio, television and film, has died at age 91. Ruby Lee Davis daughter said, that her mother died at home at New Rochelle, New York, on Wednesday night. Dee, who frequently acted alongside her husband of 56 years, Ossie Davis, was surrounded by family and friends, she added. Her long career brought her an Oscar nomination at age 83 for best supporting actress for her role in the 2007 film “American Gangster.” She also won an Emmy and was nominated for several others. Next Post Graduating with Victory!! !